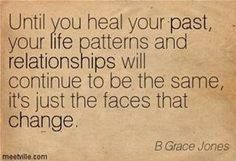 As a hypnotherapist specializing in Life Between Lives and Past Life Regression, I spend a fair amount of time working with folks to heal the past. Notwithstanding the practicalities of these methodologies, the work is designed to free one of the constraints that tether one to the past in order that life can be fully enjoyed in the present. Those who understand the cycle of reincarnation know that we return time and again to complete lessons, balance karma and yes, heal the past. For those yet to journey into the superconscious to examine what went before, suffice to say it is an incredibly powerful tool that can heal the past. While some who avail Past Life therapy do so to satisfy an intellectual curiosity about the experience, most choose to do so in order to live fully in the present. To live fully in the present, one needs insight about patterns that so often drive decision making – patterns of thinking, patterns of behavior, and patterns of relationships. The idea behind all of this exploration is that once you are armed with a full understanding of current beliefs and behavior, you are best positioned to make choices that satisfy and imbue joy. Far too many struggle to live joyful and harmonious lives because the metaphorical back pack they carry is over-stuffed with excess baggage. Many of us have dissected the details and happening of our current life only to find incomplete explanations for these patterns. Determined to live fully and freely in the present, many expand the scope of their excavation of the past beyond the boundary of their current life. The soul’s desire to live fully and freely and to fully realize its perfection prompts the crafting of soul plans that embed the very patterns we wish to break. If you find that all of the insight you have gained about your current life still does not allow you to live in joy and harmony, you might want to consider that the origin of these encumbering patterns may predate your date of birth. In this case the path to living freely compels that you develop a strategy that will shatter patterns that no longer serve and un-tether the past – as life truly can only be enjoyed in the present!